is named after its nineteenth-century decorations with blue drawings. It’s a double bedroom with a balcony and an outside-the-room private bathroom equipped with a shower. It is equipped with wifi, TV and windows with double glazing. 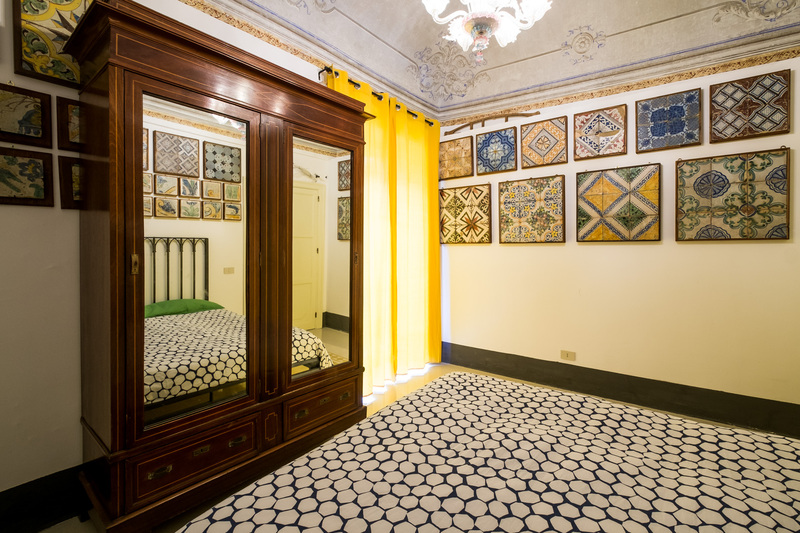 The room has an antique floor dating back to the early twentieth century and it has been recently restored. 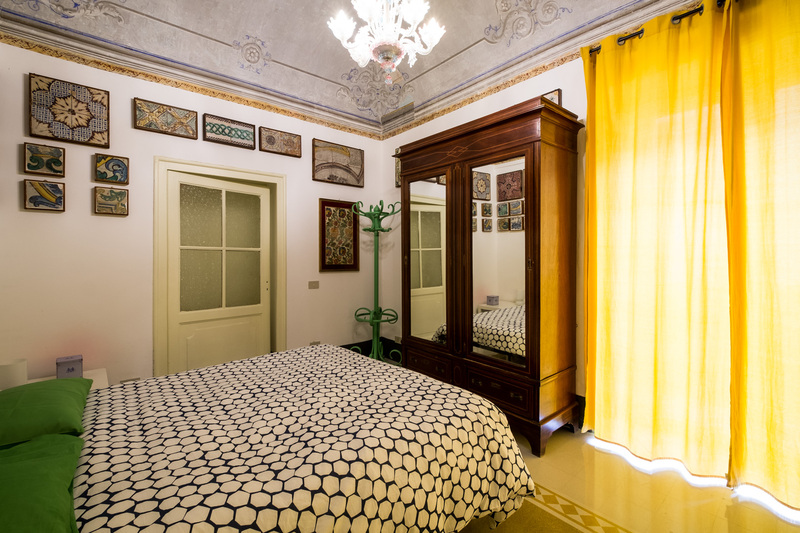 It is furnished with a wrought iron bed, a dresser and an antique wardrobe. 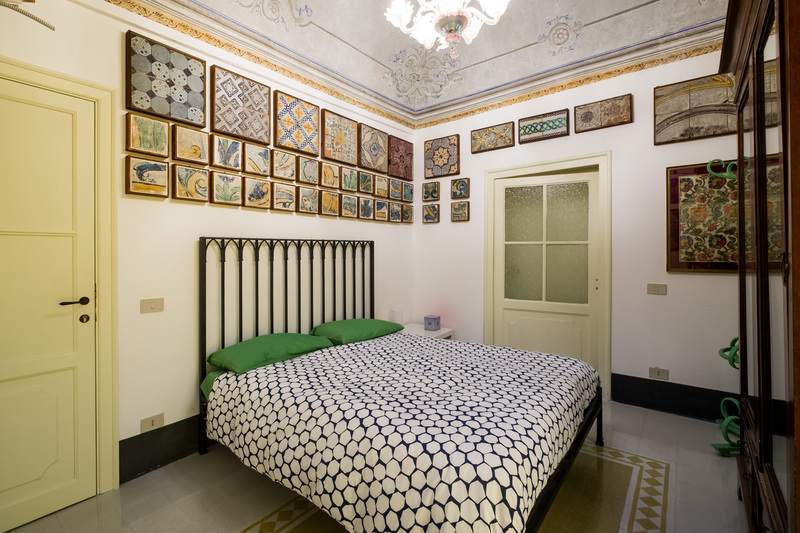 The room is very bright and it overlooks Via Magione where you can see the church portal and the Palace Tommaso Natale with an adjacent monastery.